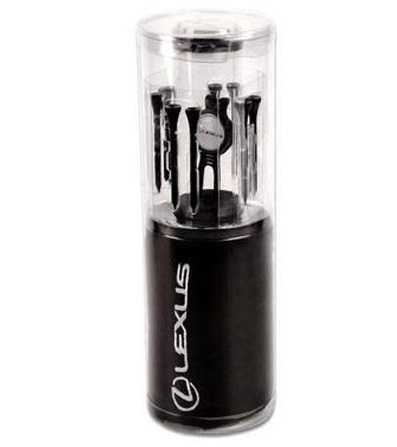 This item is a Lexus logo Golf Gift Tube. This is an ideal gift for any golfer. This is a gift kit , it comprises of a black micro towel, divot tool, golf tees & poker chip ball marker. All items within a presentation tube and all with Lexus logo.